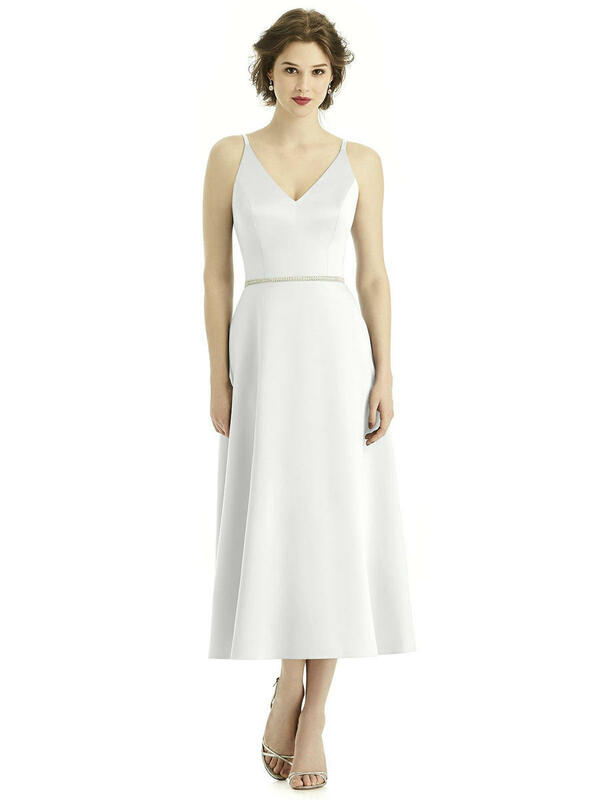 Midi length sleeveless renaissance satin dress w/ v-neckline and skinny beaded sash at natural waist. Beading always silver. Circle skirt. Also available full length as style 1510.